Thanks!!! I am sure we’ll be connecting more for Part 2. Appreciate all you do here. I’m damn near 37 and well over a decade out of school and I finally sat for and passed L1. Not sitting for L2 until 2020 though. Too much going on. Congrats to those that passed and to those that didn’t, it’s not a race and you have plenty of time ahead of you. If you feel that you will benefit personally or professionally from continuing this pursuit, I strongly encourage you to do so. I am in so much shock! I am 43 - and just passed…..no worries! Passed and this was my second attempt!! Damn near cried on the subway having all those hours finally pay off. Passed! Da**n didn’t sleep well. S2000magician thank you for your help! and try harder the next time. People think it’s a sprint , it’s not ! It’s a marathon! So go harder next time ! Congrats to all who pass ! those lonely hours finally paid off ! It was an interesting journey really. I have been overwhelmed by my result today. Sure, I anticipated failure but it was painful especially. It seemed to be a score band 10. When I finished the test, I felt quite confident that I could passed, but when the results day was approaching more and more, my confidence was deteriorating. Im taking level 1 exam in June. Did you practice all the questions and exercises from Schweser only? 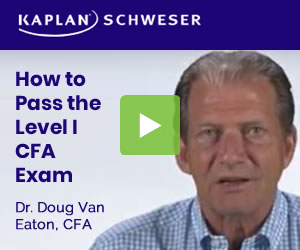 Did you practice with CFA book as well? Congrats to all that passed. Now the real fun begins! congrats to all those who passed. At the office here we have some folks that weren’t able to clear it this time around but it’s not the end of the world. If it was easy everyone would be a charter holder….remember that. Congrats to those who passed and those that will pass in the future. Please, what will be your tactical strategy advise to those of us writing the L1 this June? I am currently still only half way through book1 of the schweser. I feel like I have enough time until someone says s/he’s done with book1 and 2. This sent chills down my spine. Hi, I am taking the L1 exams too this June. Many people advise, including Schweser themselves, that a combination of the 2 books is helpful. I understand that, but my problem really is time. How are you managing your time? Any ideas? Guys how do i know which band am i? I have a question. Why my phone does not keep ringing? I thought after I pass lvl 1, my phone wouldn’t stop receiving calls from recruiters and VPs right after I got the results? It’s weird huh.